During its post-Apollo history, NASA has been fed the table scraps from lawmakers and they’ve taken it. Over the past four decades, they have received just enough to do something, but not enough to do what needed to get done. In recent years, the strategy has gone from cancelling the moon program (Nixon), to abandoning the manned space program (Nixon), to the Shuttle compromise (Nixon), scaling back Shuttle production (Carter), Space Station Freedom (Reagan), Mission to Mars (Bush I), a scaled down Space Station Freedom (Clinton), then the ISS (Clinton), and then back to the Moon (Bush II), to skip the Moon and head to Mars, maybe (Obama), to a rendezvous with an asteroid using a module cannibalized from the International Space Station after we abandon it, maybe (Obama). This new plan isn’t a strategy, it’s a desperation move. It’s NASA settling again for what it can do with limited funds and limited support. Enough. This insanity with a short-term flip-flopping strategy for the space program has to stop. Where is it that we find and elect people whose vision and logic is so lacking? The space agency is caught in a loop that it can’t escape. It has become the subject of constant retooling every time a President is elected. I can’t think of one federal agency that undergoes a change in direction as drastic as what NASA faces after each election. Compounding the problem is that NASA can barely get the studies done on one vision before the next change comes rolling through. NASA needs to take a stand and fight for its vision, but first it needs to articulate one. NASA has been trained by Congress and Presidents in recent years to feel like they are lucky to get anything. As such, they tread lightly, don’t make too many waves. What NASA should do is to treat this as if they are at war. They are. It’s a battle for public support and for the support of Congress and the President. NASA needs to plan a strategy to win, not just compromise. For the space agency, compromise is a loss. It has been compromising decade after decade, and it has been losing. A bold NASA that says that it has to be this way or no way might awaken the public to support the program at levels it hasn’t seen in forty-years. The asteroid mission is wrong. Not because of the target, but because of how it’ll be done. Think of strategy as two parts, the first is what we are going to achieve, how we are going to do it, and when. The second is making sure that the strategy you put in place is achievable, sustainable and lays a foundation for what comes next. The asteroid mission is NASA settling to accomplish something because it is sellable and doable with limited resources, but what next? The target asteroids are few and far between, miss a window due to technical delays or funding, and you’re stuck waiting years for another shot. The bigger question is what is the objective? What can a manned mission achieve to an asteroid that an unmanned mission couldn’t do cheaper and without risk, including sample return? The answer is nothing. So why risk crew, cobble together a system using an International Space Station Module when you can’t repeat the process and haven’t built equipment that can be leveraged for the next step, Mars. We know the answer, it is that old adage “better to do something, than nothing”, this is something rather than nothing, and something that can be done cheaper. It’s a mistake. In the coming weeks, I’ll talk more about what needs to be done with NASA’s long term vision and how it can win the battle for public support, but I’ll give you a hint. Forget manned mission to asteroids and Mars, at least for now. It’s a battle that can’t be won today. The space program needs to get back to its foundational elements and build the systems and tools for the future, but leveraging what we’ve already done. We’ve become experts at operating and constructing objects in low-earth orbit, let’s build on it rather than discard that experience. The Earth-Moon system is a logical place to build and test vehicles for Mars. We need to progressively reach for Mars so that we can repeat it and build on it to reach further. It will take time and money, but it will create a lasting system. A Mars mission or an asteroid mission now is a “one and done” deal with nowhere else to go and a lot of “lost” years building something that can’t be leveraged. The asteroid mission had one element right; travel to deep space will require a space station type craft. We’ll need to get working on one and we’ll need to test it, first in Earth-Moon long duration orbit, then perhaps an asteroid trip to step further, then to Mars, but wait, there’s more! “Space exploration” is how we term our activities in space; a long-term strategy might begin not with exploration, but operations. Items such as building in-orbit power stations that continue to leverage our experience while funding the program to build new vehicles and new technologies. To do that you’re going to need a heavy-lift launch vehicle (Ares V), and a crew vehicle that can be more than just as transport, but operate in space for days (Orion). That gets us one step closer and meets both needs. In other words, win by making the other guy think he’s winning. Lastly, we’ve got to get a better linkage between our unmanned and manned strategies. 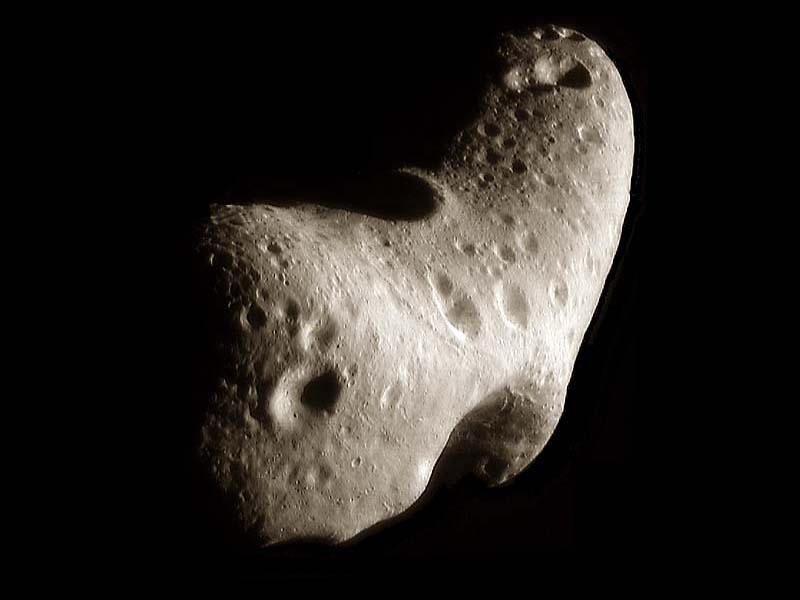 Send a robot to an asteroid, not people. We have done it already, this is no stretch for us technically, and a robotic mission opens up potentially better targets. Next up, a full test run of an unmanned Mars Lander and sample return mission; it would be a great mission to work on all the logistical details for an eventual manned flight. Mars has become a graveyard of failed vehicles, and we’ve never done a full launch, transit, orbit, land, launch, transit, return on a mission this scale since Apollo. We’ll need practice. A sample return mission from Mars with multiple sampling probes docking with a single return vehicle would be a mission that would captivate public imagination. Then focus on an unmanned probe to Europa to explore the surface and perhaps the subsurface ocean. All the while, use the scarce manned spaceflight resources to build and test vehicles with improved capabilities and propulsion that will keep us in orbit, then to the moon, and eventually on to Mars. You say... NASA has a long history of being out of step with the political climate... but I would argue that the politicians have a long history of being out of step with the vision of NASA! Ultimately, its NASA's job to sell a vision to the public, the President, and Congress. In the late 60's, Johnson had already cut the funding before we ever landed on the moon. The political climate was such that "moon type" funding was not going to continue. NASA wanted a moon base, a space station, a shuttle, and a planned Mars mission. There was no way NASA was going to win that battle, but they persisted and nearly lost the entire manned program to Nixon. Then, had to make compromise after compromise on the Shuttle. They gave up too easily on the Saturn 1B and CSM which would be a fateful decision. That would cost us Skylab, and continued refinement of that platform along with public interest and support.